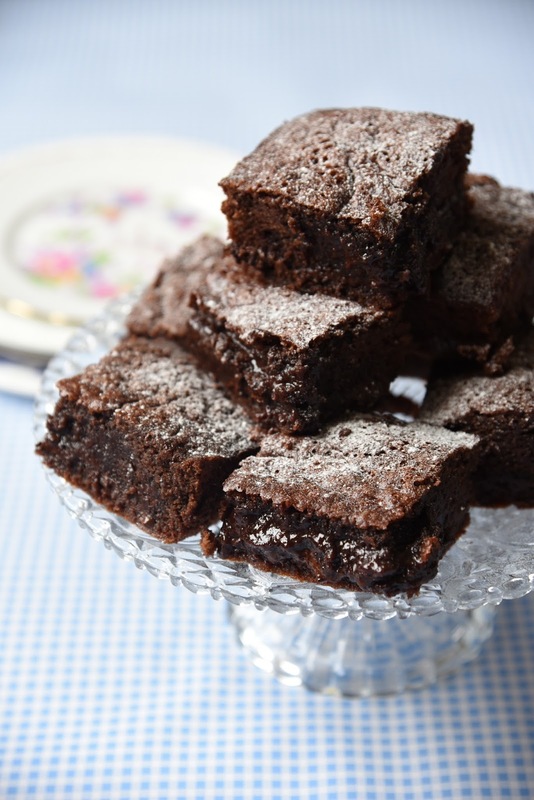 If there's something I love experimenting with it's brownies! There's so many things you can do with them and I love searching out new ways to jazz them up! This time I decided on peppermint fudge brownies. I absolutely love the idea of using after dinner mints (like after eights) in the middle to give them that extra chocolate peppermint kick! They're squidgy and delicious! They're so easy to knock up too! 1. Preheat the oven to 170 degrees C/Gas Mark 3. Grease and line a 23cm square baking tin. 2. Melt butter in the microwave and stir in the cocoa. 3. Stir in the sugar and whisk in the eggs one at a time. Add the vanilla and stir well. 4. Fold in the flour, baking powder and salt until just combined, then fold in the chopped chocolate. 5. Pour half the batter in the prepared tin and spread evenly. 6. Top with the after dinner mints, placing them as close together as possible. Top with the remaining mixture. 7. Bake in the oven for 30-35 minutes until the edges are cooked and the centre remains a little wobbly. Cool in the tin before turning out and cutting into squares.